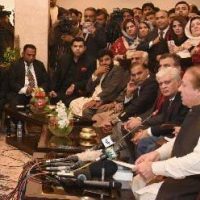 DAVOS: In separate meetings with premiers of Sweden and Sri Lanka on Wednesday, Prime Minister Nawaz Sharif apprised the leaders about grave human rights situation in the Indian-occupied Kashmir. In his meeting with Swedish Prime Minister Stefan Löfven, Sharif dilated upon the ongoing human rights abuse by the Indian state and its security forces in the occupied territory. 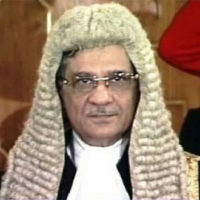 He said that the international community must play its constructive role in resolving the Kashmir dispute. Sharif said that Pakistan would continue to extend its moral, diplomatic and political support for the Kashmiri people to attain self-determination. The Swedish premier expressed his concerns over the prevalent situation in Kashmir. 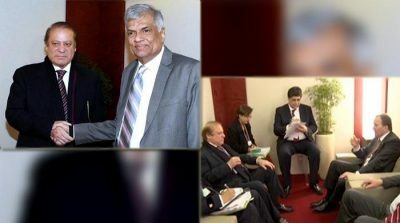 In an another meeting with Sri Lankan Prime Minister Ranil Wickremesinghe, Sharif said that Pakistan desires to resolve all outstanding issues with India, including Kashmir issue. He further said that Pakistan aspires to see cordial state relations in the region and desires to see an active role of SAARC.